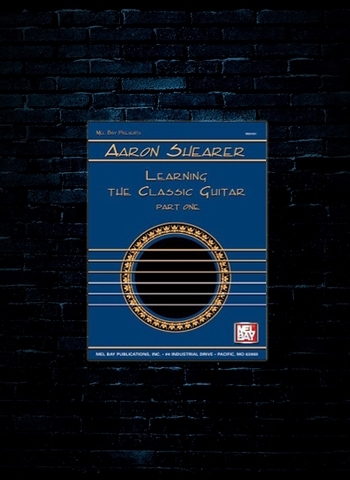 Learning the Classic Guitar is a new direction in guitar instruction. Many ideas in these books break new ground. In developing this innovative method, Mr. Shearer adhered to the following concepts: 1) How and what students practice is as important as how much they practice. 2) Give information only when it is immediately useful. 3) Start with the easiest skills. 4) Approach challenging skills gradually. Part one focuses on technical development and explains the most efficient approach to study and practice. Part two should go along with part one and it presents the elements of music and procedures for developing ability to sight-read and memorize. It also introduces the visualization concept. Part three teaches the student to form clear and accurate concepts of music expression. It also teaches the guitarist how to perform in public with accuracy and confidence.